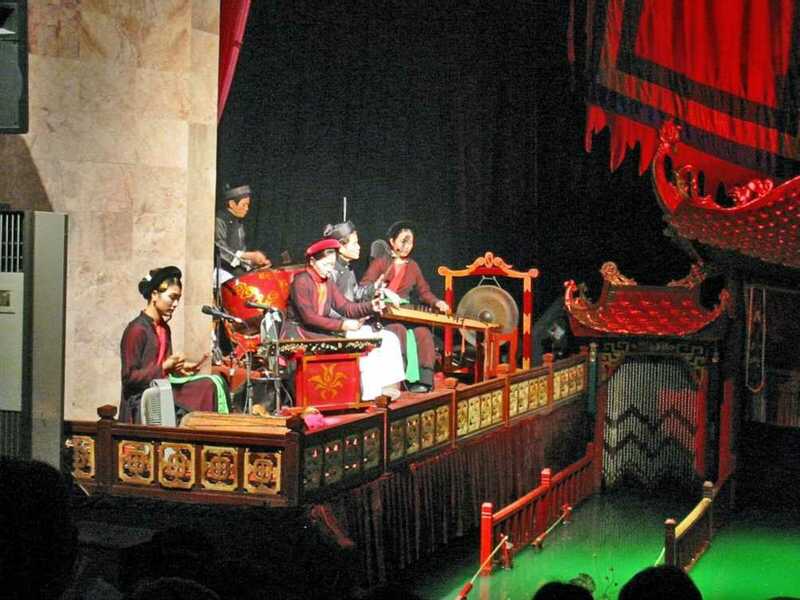 This is the orchestra of the Thang Long Water Puppet Theatre. A traditional Vietnamese orchestra provides background music accompaniment. The instrumentation includes vocals, drums, wooden bells, cymbals, horns, Ðàn b?u (monochord), gongs, and bamboo flutes. The bamboo flute's clear, simple notes may accompany royalty while the drums and cymbals may loudly announce a fire-breathing dragon's entrance. Please check out the Vietnamese traditional musical instruments on our website.